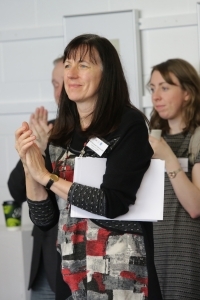 Dr. Susan McCormick (PhD, MA Music, PGDipEd, BMus) obtained a PhD in Musicology at Queen’s University Belfast. She is a secondary school music teacher, and also lectures in music and music education at third level. Her research combines her interests in musicology and music education, and includes multiple bass chorales, Johann Christian Kittel, the pedagogy of J.S. Bach, teacher training, and the accessibility of music education in Ireland. Combining a life of teaching, performing and research, Dr. Marie-Louise Bowe is a dedicated and passionate advocate of the transformative effects of public schooling and arts education. 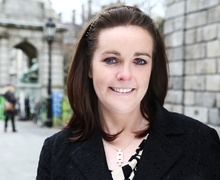 As a Fulbright scholar, she earned her Doctoral Degree in Music and Music Education from Teachers College, Columbia University, N.Y.C, U.S.A. A native of Ireland, her dissertation titled Post-Primary Music Education in Ireland: Principals’ Perspectives investigated the extent to which music was implemented in post-primary schools across the Republic of Ireland. Making regular presentations at national and international conferences, Dr. Bowe’s research interests incorporate early childhood and adolescent experiences in music to policy, leadership in the arts and music teacher education. Marie-Louise received a Music and Gaelic degree from Trinity College, Dublin and a Masters in Arts Management and Cultural Policy from University College, Dublin. In addition to receiving teaching certification as a secondary school teacher from Trinity College, Dublin, she was awarded Licentiate Diplomas (performance and teaching) in viola and piano from the Royal Irish Academy of Music, Dublin. As a traditional Irish fiddle player, she also holds a teaching diploma in traditional Irish Music (T.T.C.T). As an active freelance viola player regularly performing with the RTÉ Concert and Symphony Orchestras, Dr. Bowe has played under the baton of Sir Neville Marriner and shared the stage with artists such as Pavarotti, José Carreras, “Puff Daddy,” Enrique Iglesias, Cliff Richard, The Corrs (MTV awards), Westlife and Josh Groban to name but a few. Furthermore, she tours extensively throughout Europe, Asia and the United States as a chamber musician and traditional Irish fiddler. Marie-Louise teaches music methods on the Professional Masters in Education program (pre-service secondary school teachers) at Maynooth University. She is a secondary school music teacher at Belvedere College, Dublin where she founded a wind band and orchestral program. Previously she held the position of Coordinator of Curriculum Music at St. Patrick’s College, Drumcondra, Dublin, teaching and supervising pre-service/in service primary school teachers). She was Assistant to the Program Coordinator, Student Teacher Advisor and Viola Teacher at Teachers College, Columbia University, NYC. Marie-Louise also established a music academy and directed annual summer music courses. 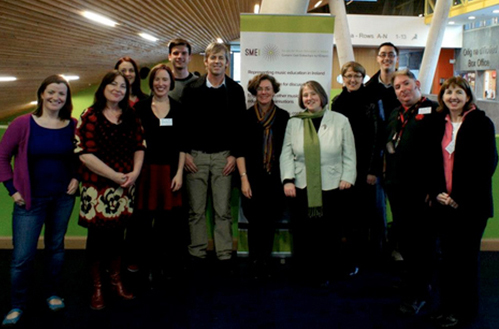 Furthermore, she is the Assistant Secretary of the Society for Music Education in Ireland (www.smei.ie). 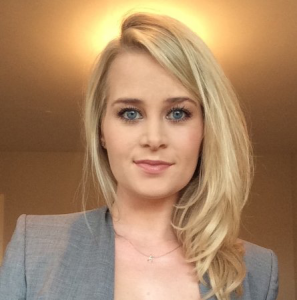 Shannon Burns is currently an Irish Research Council PhD scholar at the Irish World Academy, University of Limerick. She lectures in music theory, performance studies and music notation software on undergraduate and postgraduate degree programmes in the Academy. Her current PhD in arts practice research titled, Transmitting Music Theory: A Performative and Pedagogical Exploration focuses on the use and creation of a performance based music theory curriculum for third-level students who come from a non-classical musical tradition. She has presented at both international and national conferences including the Arts Practice Research conference held in Texas, USA, October 2015. Her M.A. in ethnomusicology, Banding Together: research focused on the social identity and participation in a community brass and reed band. 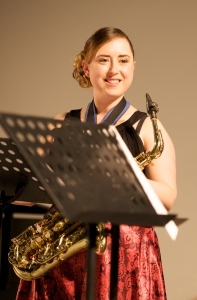 She is also an active performer on both saxophone and clarinet. She has performed in master classes and concerts with the Bob Mintzer, West Point Jazz Band, Eugene Rousseau, Col. Arnold Gabriel, Ken Edge, Irish Youth Wind Ensemble, University of Limerick Orchestra, the Blue Monk Quartet and the Irish Symphonic Wind Orchestra. He has achieved a BA is Arts and an MA in Community Development, both from NUIG, and in 2007 achieved a primary qualification as a counsellor in Reality Therapy/Choice Theory. Simeon has been playing samba for 22 years, and is a founding member of MaSamba Samba School. Over this period, he has received formal and informal training from many of the top practitioners in the field, and facilitated many top samba artists to visit and teach in Ireland. In this time he has developed a huge musical repertoire, covering many of the popular styles of Afro-Brasilian music. 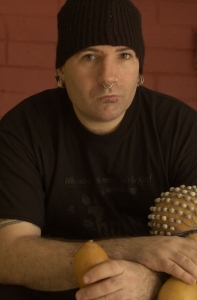 Simeon has taught for National University of Ireland Galway, University of Limerick, and the Royal Irish Academy of Music, as well as being responsible for setting up over 20 samba bands in Ireland and the UK. Simeon has spent over 6,500 hours teaching samba thusfar in his career. Simeon has developed many of the unique teaching methodologies used by MaSamba Samba School and is regularly asked to deliver workshop programmes with samba bands, music teachers and corporate groups. Simeon is Musical Director of MaSamba Samba School in Dublin and one of the only full time percussionists in Ireland. In recent years, he has played extensively throughout Ireland with over 100 performances a year under his belt. In 2005, he performed on the world tour of world music pioneers Dead Can Dance. In 2007 and 2008, Simeon played with the Rio-based group Monobloco on tours of the UK and Ireland. Simeon has toured Brazil on several occasions, having the opportunity to study carnival traditions in Rio, Sao Paulo, Recife, Olinda and Salvador. In 2009, Simeon also studied carnival celebrations in Switzerland and Austria. He is also currently writing the percussion parts for a forthcoming Kíla track. Simeon is a proud endorsee for Pro Mark, Pearl Percussion, Sabian, Leiva Cajons, Hardcase and Protection Racket. Musicologist and Music Educator Dr Adèle Commins is Head of Department of Creative Arts, Media and Music at DkIT. A graduate of NUI Maynooth with a PhD in musicology and first class honours degrees in Music and Irish and Higher Diploma in Education, she also holds an ALCM and LGSMD in piano performance. In addition to playing piano, she is an accomplished piano accordion player and soprano and is Musical Director of two local church choirs. Adèle is an elected member to the Council of the Society for Musicology in Ireland, a member of the Society for Music Education in Ireland committee, a member of the Répertoire International de Littérature Musicale (RILM) Ireland committee, the Honorary Secretary of the Council of Heads of Music in Higher Education in Ireland and is also an active member of the International Stanford Society. Her primary research interests lie in music in Ireland and England during the nineteenth and twentieth centuries, with particular focus on the music of the British Musical Renaissance. Her doctoral work, ‘Charles Villiers Stanford’s Preludes for Piano op.163 and op.179: A Musicological Retrospective’ examined the reception history of Charles Villiers Stanford and included a detailed analysis of his forty-eight Preludes for solo piano. She has written a number of articles relating to Stanford and his music and has also contributed a number of articles on music in Ireland in the nineteenth century to the Encyclopedia of Music in Ireland in addition to working as an assistant style editor for this publication. Adèle has presented her work in Ireland, England, Norway, America and Australia and completed lecture and performance tours of America and Brazil with the DkIT Traditional Ensemble. Other research interests include the scholarship of teaching and learning, music education, instrumental pedagogy and music editing. Ita Beausang is a graduate of University College Cork and emeritus lecturer at DIT Conservatory of Music and Drama. 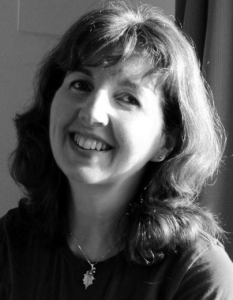 Her main research interests are concentrated on contextual studies of music in Ireland in the eighteenth and nineteenth centuries, She is also active in research in the areas of music education, piano pedagogy, music therapy and music criticism and has acted as supervisor for a wide range of postgraduate projects. 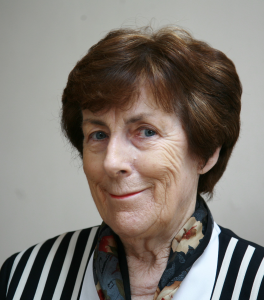 She was an Advisory Editor for the Encyclopaedia of Music in Ireland, and is currently engaged in research on the life and music of the Irish composer, Ina Boyle. In 2010 she was awarded honorary life membership of SMI. 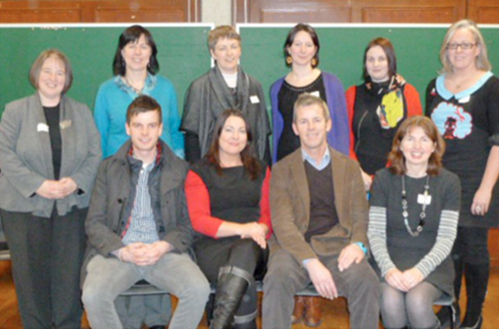 John O’Flynn (Chair), Gwen Moore (Assistant Chair), Regina Murphy (Secretary), Michelle Finnerty (Assistant Secretary), Julie Tiernan (Web Manager), Thomas Johnston (Newsletter Editor), Lorraine O’Connell (Treasurer), Yvonne Higgins (Assistant Treasurer), Mairead Berrill, Grainne Deery, Patricia Flynn, Ethel Glancy, Daithi Kearney, Grainne McHale, Simeon Smith. John O’Flynn (Chair), Regina Murphy, Lorraine O’Connell, Yvonne Higgins, Patricia Flynn, Ethel Glancy, Michelle Finnerty, Thomas Johnston, Julie Tiernan, Ailbhe Kenny, Gwen Moore.